This week the Clean and Simple Challenge over at Splitcoast is 'delicious', which means anything to do with food. 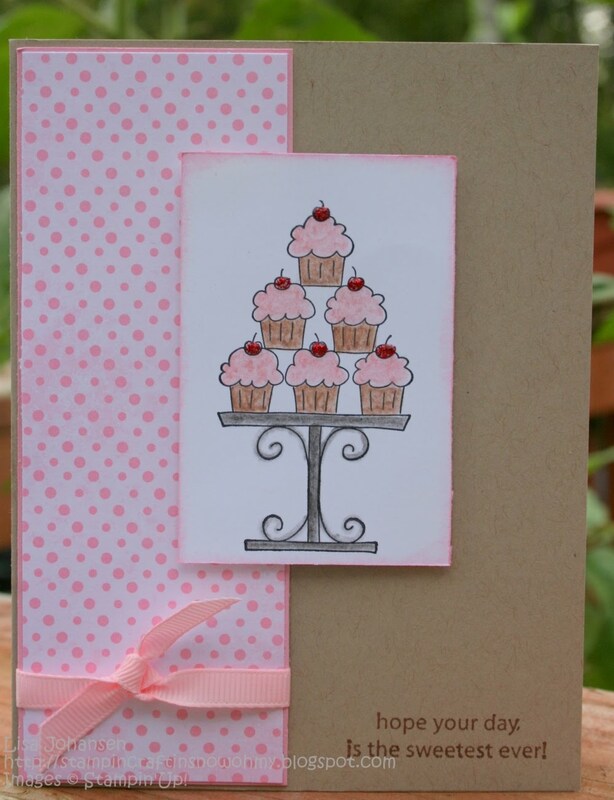 Since I love sweets I chose to make a card with the Crazy For Cupcakes set. 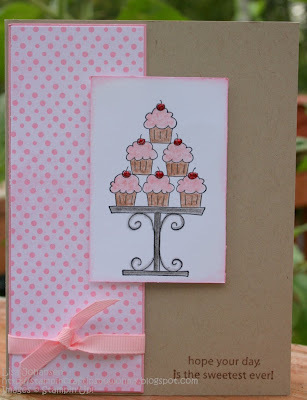 I used Kraft for the card base and then a took some Tea Party DSP and layered on some Pretty In Pink. I tied on a ribbon along the bottom portion. 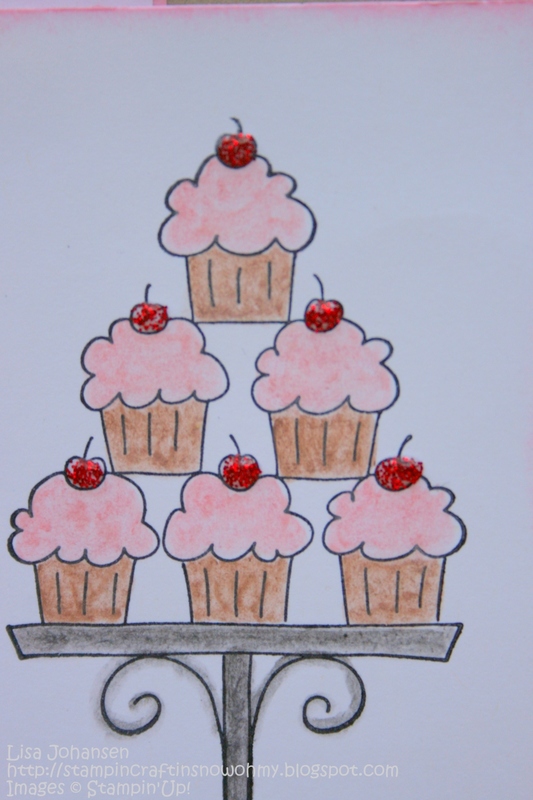 The cupcake image was stamped in Black StazOn and colored in with watercolor crayons. 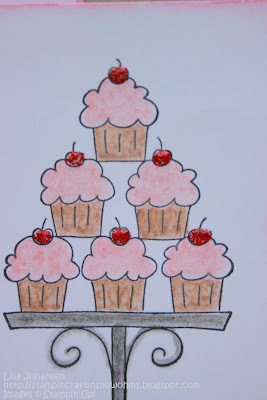 I used red stickles for the cherries on top of the cupcakes. The sentiment was stamped along the bottom right of the card with Close to Cocoa ink.